Google’s developer preview program continues as the company releases yet another beta build, Android P Beta 3 (Developer Preview 4). Today, the third beta version is available for download for the Google Pixel, Google Pixel XL, Google Pixel 2, and Google Pixel 2 XL. The first preview version was released in March, which brought an almost complete redesign of the user interface. A month later the first beta version (Developer Preview 2) dropped, featuring gesture navigation and a new adaptive brightness and battery management enhanced by machine learning. It was then followed by the second beta version (Developer Preview 3), which brought features like an improved brightness slider, ‘Clear all’ button in recents menu, tweaks to gesture navigation and many more. As always, OTA and Factory Images of the update are already available for Pixel devices. You can also sign up for the Android Beta program to receive the over-the-air update. 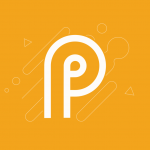 Be sure to follow XDA for the coming days as we’ll definitely break down every single new thing that this update features like we did for Android P Beta 2, the Android P Beta 1, and Android P Developer Preview 1. Run the flash-all.bat if you’re on Windows or flash-all.sh if you’re on Mac/Linux. This will wipe all data on your device! If you want to flash the update without losing any data, please follow these instructions instead.